Tonight..North wind 5 to 15 knots increasing to 15 to 25 knots after midnight. Cloudy. Rain after midnight. Waves 1 to 2 feet building to 4 to 7 feet occasionally to 9 feet. Friday..Northwest wind 15 to 20 knots. Gusts up to 25 knots in the morning. Mostly Sunny. Waves 3 to 6 feet subsiding to 3 to 5 feet in the afternoon. Friday night..North wind 5 to 15 knots. Mostly clear. Waves 2 to 4 feet subsiding to 1 to 3 feet after midnight. 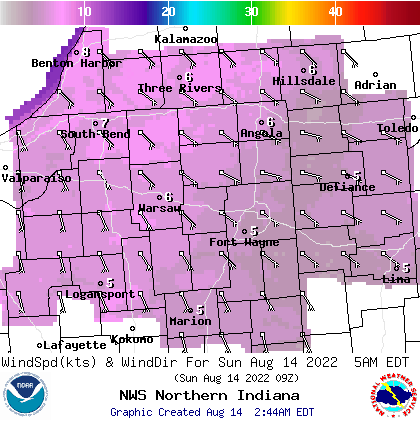 Saturday..Northeast wind 5 to 10 knots veering east 10 to 15 knots in the afternoon. Slight chance of rain in the morning, then rain likely in the afternoon. Waves 1 to 3 feet. The water temperature off michigan city is 45 degrees...and 42 degrees off st. Joseph. and wind anticipated later Saturday into Saturday night. rain could extend back northwest to a monticello-warsaw-angola line. lowland stream river type flooding will be possible into Friday. in NW flow with gusts to 35 mph possible. here where lows drop into the mid 30s. late Saturday afternoon evening with warmer temps. Dry cool becoming sunny then behind this system on Sunday. confidence in details is low at this forecast range. flight categories will likely persist into the morning hours. gusty winds up to 35kt develop after 18z. 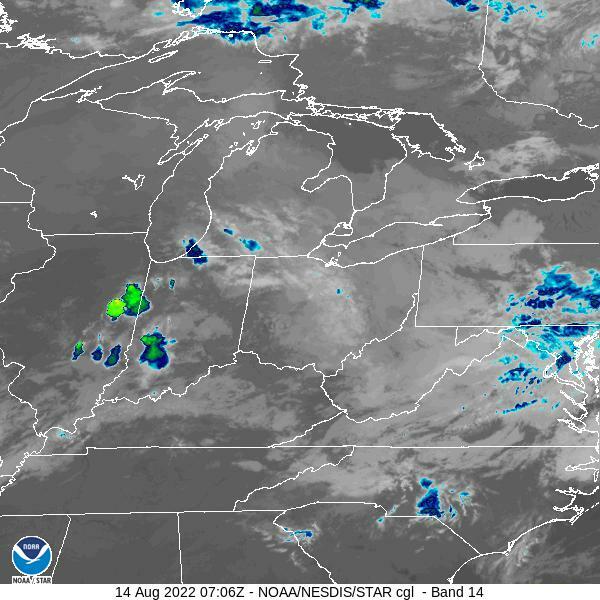 Lm... Small craft advisory from 2 am to 5 pm edt Friday for lmz043-046.